“Make an Old Man Happy” ! I’m sat with a Highland Park 15 year old whisky, it’s lovely and you very rarely find a poor HighlandPark. I distil Gin and make Vodka for a living, and I’m passionate about my products, but my other passion isScottish Malt Whisky. I love the subtlty of the flavours, the softness of well aged spirit, the length and complexity of the finish. I love the huge robustness of Islay’s peaty monster whiskies, the delicacy of Speyside whiskies, the firm full bodiedness of Highland and Campbelltown whiskies, and the spirity fruitiness of Lowland whiskies. I also love the fact that any whisky from any region can go completely against the norm of it’s region and take you completely by surprise. I currently have about 140 whiskies almost all of them opened and the rest are going to be opened at some point, when asked if I’m a whisky collector the answer is always no, I’ve never bought a whisky for investment purposes, or just to look at. I do have some old and rare whiskies, and some that have become very valuable since I bought them, I think that it’s a shame that some whiskies that I have have become so valuable that an ordinary bloke like me can’t justify taking the cork out of them and drinking them. I now find myself with a few bottles that are a sort of investment and cash fund of last resort, I hope at some point that The Fabulous Vodka Company makes me enough money so that I can open one of my 25 year old Port Ellens, my 30 year old Sea Dragon Bowmore, my 40 year old SMWS Glenfarclas, or any one of a number of others. I’m lucky enough to have visited about 25 Whisky distilleries, many of which have been really good fun, some of which are a bit “corporate” and just rush you around and into the shop as soon as they can! and every now and then you do a distillery visit that is so different that it is worth a mention here. I was shown around Caol Ila on Islay by an old chap who had worked there since the 60’s, he taught us very little about making the whisky as we had already visited a lot of other distilleries, but the stories he told of Caol Ila really brought the tour alive. 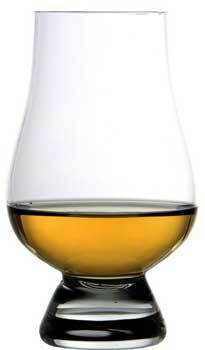 Caol Ila has always been a favourite whisky of mine, and that tour helped. Another great tour, one that I would recommend to everyone is Aberlour, the tour that we did was about 2 hours long and ended in the brand new tasting rooms with 7 whiskies to taste, it was a great tour, our nominated driver missed out that day! I’m also often asked what my favourite whisky is, and I truly don’t have one, I have favourite distilleries, and they change all the time, but tend to be, Caol Ila, Laphroaig, Highland Park, Longmorn, and Port Ellen, but often swap with, Dalmore, Ardbeg, Lagavulin, Macallan and Aberlour, not forgetting Longrow and Springbank. (and Clynelish!) My partner, the lovely Sarah, says that watching me choose a whisky is like watching a kid in a sweet shop, and I’ll admit that choosing a whisky can take a while! but then that’s part of the fun, choosing the first whisky, then choosing which one can follow it! I’ve spent the whole of this blog trying to decide, or at least narrow down, which whisky is my favourite, but I think that it’s an impossible task. There are just so many whiskies that I’ve not tried, and that’s just Scotish ones, I’ve had a lot of Irish whiskies, and really enjoyed them, especially the Cask Strength Connemara I had, I’ve also had English whisky, Canadian whiskey, Bourbon, Rye whiskey, Japanese whisky and Indian whisky, but there are still so many to try, and I consider it my mission to try as many as I can!